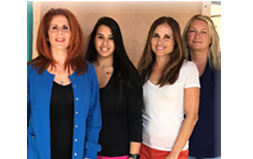 Doctors Best Wellness is a Hormone Replacement Therapy Center & weight loss center in Fort Lauderdale that offers many services to the South Florida area. 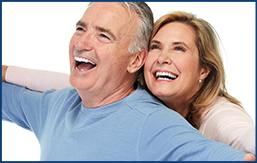 Our in House Dr. Val Monocchio is one of South Florida’s most experienced doctor in his field! Dr. Val Manocchio is a board-certified physician and a member of the American Society of Bariatric Physicians, plus a Fellow of Anti-aging and Regenerative Medicine. 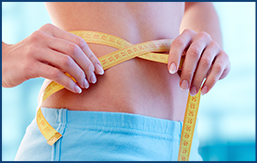 Currently he owns and operates a comprehensive Hormone Replacement Therapy & medical weight loss and wellness center that is located in Fort Lauderdale, Florida. 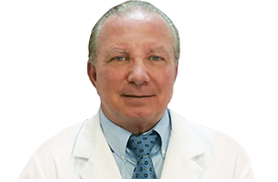 Dr. Val Manocchio received his Bachelors Degree from University of Miami’s School of Medicine, in 1980 he began his practice as an Emergency Medicine Physician. In 1983 he returned to residency training in General Surgery at Staten Island Hospital in New York. He then went on to study Anesthesiology at Long Island Jewish Medical Center, specializing in the fields of General, Pediatric, Obstetric, and Cardiac anesthesia. Dr. Val Manocchio practiced Clinical Anesthesiology in South Florida from 1986 until the late 90’s when he began limiting his practice to the care of patients requiring plastic and reconstructive surgery. Specializing in procedures directed toward correcting obesity related disfigurement, Dr. Val Manocchio has developed a unique understanding of the emotional and physical difficulties many overweight patients are troubled with. Dr. Val Manocchio interests now lie in the Medical Management of Obesity, Aesthetics, Functional Medicine, including Intravenous Nutritional Repletion, and Hormone Replacement Therapy. His practice employs the quickest and safest techniques for improvement of the obesity-associated co-morbidities, atherosclerosis, diabetes, vascular problems, heart attacks, strokes, high blood pressure, dislipidemia, fatigue, stress and depression. I began my Emergency Medicine career in 1979 and practiced anesthesiology for several years. Today in my South Florida clinic I am truly saving many more lives. I help my patients achieve optimal health through medical weight loss, nutritional replacement, and Hormone Replacement Therapy balancing with the 3 sciences being equally challenging and quite fascinating for me. If not, I encourage you to decide on a plan that fits your lifestyle, take the plan and products, or their nutritional information to your own doctor and begin your journey to improved health today. If you feel you need to lose weight, would like to benefit from Hormone Replacement Therapy or you simply wish to live longer and enjoy a healthier lifestyle please make an appointment to see me in my South Florida office. You may call anytime, we are 10 minutes from Fort Lauderdale International airport.